In this milestone issue of Airbrush Action magazine, we announce the US and Canada exclusive promotion of the new ARISM Mini – an ultra-portable air compressor which will be available in 8 unique colors. 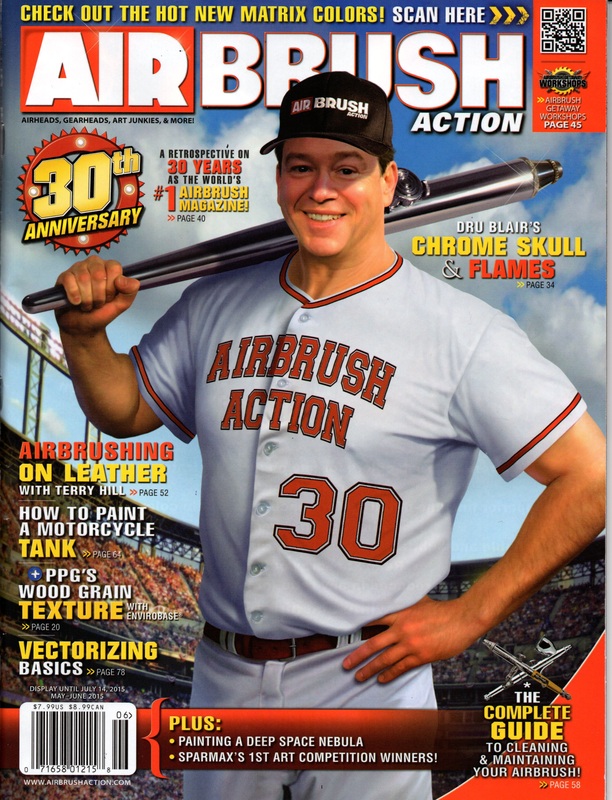 In celebration of Airbrush Action’s 30th Anniversary, the ARISM Mini will also be 30% off! Contact your local art / hobby supply store, or visit our website for more information. 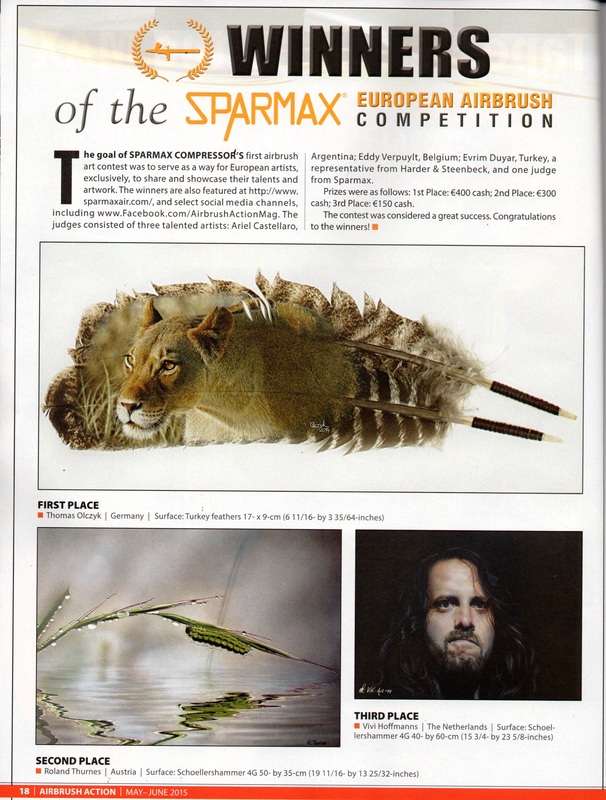 The results of our European Airbrush Competition 2014 is also featured in this issue. You can see the winning submissions along with other spectacular artwork. Credit to these amazing artists.